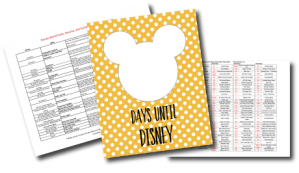 We LOVE Undercover Tourist and use them ourselves to save money on our Disney World tickets. Today we’ll show you how to get your own discounted tickets. Undercover Tourist is an authorized Disney World Ticket broker. 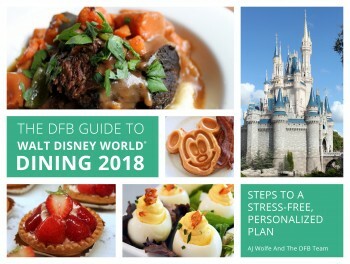 Which means you can buy the SAME tickets through them that Disney World sells on their website. You’ll be taken to the ticket listing page (see image below). 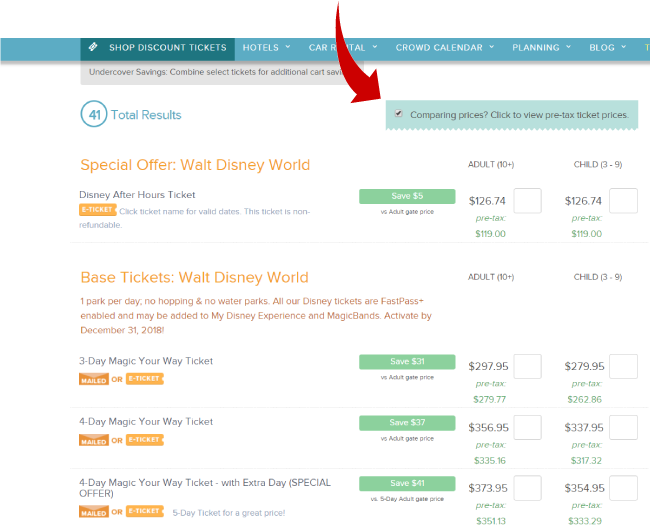 Click on the “comparing prices” checkbox if you’re comparing to the prices from the official Disney World ticketing web page. The Disney site shows their ticket pricing pre-tax. By selecting the “compare pricing” box, you’ll be able to see the Undercover Tourist prices also pre-tax.